Common applications include cleaning BBQ grills, smoker grates, or oven racks of baked-on food and heavy grease deposits. Use outside for restoration of brick and mortar by removing rust, hard water or mineral stains. 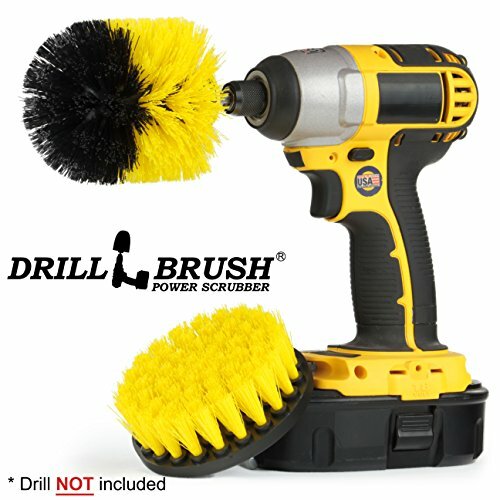 These brushes can also be used for industrial applications such as heavy duty stripping of loose paint and other harsh scrubbing applications. Erase stubborn painted graffiti from stone walls or metal surfaces. Clean your gas grill, smoker, oven, or charcoal grates with this no-wire kit. Our brushes have NO WIRES and are much SAFER: "A number of surgeons recommend that wire brushes not be used to clean barbecue grills. In some cases, bristles break off the brush which then become deposited in food cooked on the grill. Ingestion of these bristles can cause gastrointestinal perforation." Modernize your arsenal of old-fashioned wire brushes that never get clean and tend to rust as well. Replace all your wire brush drill attachments with these aggressive, Ultra Stiff Black, all nylon, drill powered upgrades. No more broken and loose flying wires to deal with. All brushes feature a rugged steel, quarter-inch, quick-change shaft to fit most all drills and drivers. All of the brushes feature a quarter inch quick change shaft that will allow them to work with your cordless drill or impact driver. This variety pack allows you to tackle any cleaning application. Our kit features 4 brushes that vary in size and stiffness to make sure you have the best tool for the job.Please check the fourth image for our cleaning application color chart. 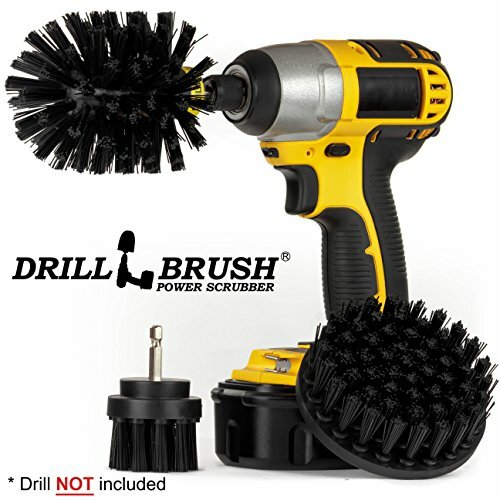 All Drillbrush Products have a 90 day no questions asked Money back Guarantee. If you are not completely satisfied with our product we will issue a full refund or ship out a replacement at the buyer's request. 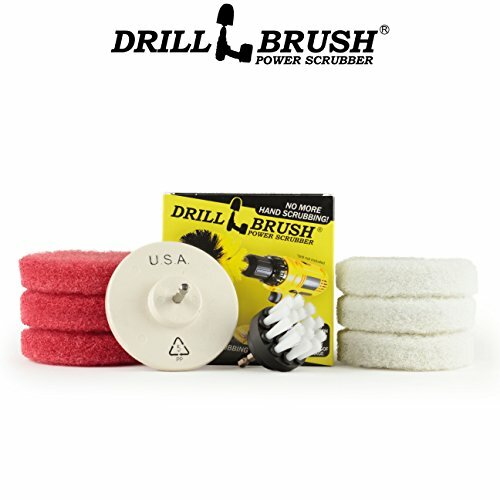 Bathroom combo brush kit works great on Fiberglass Tubs, Shower Stalls, Sinks, and Bathroom Tile. 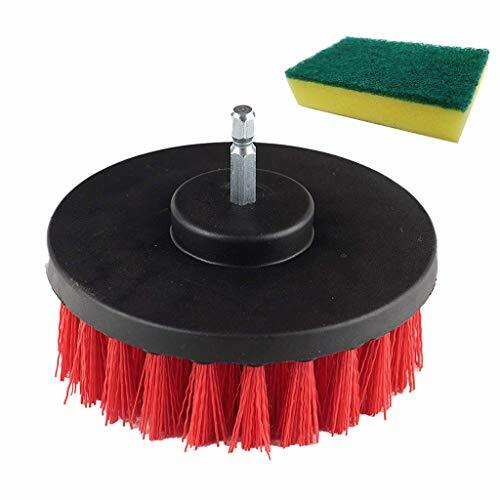 Medium stiffness nylon bristles for general purpose scrubbing and cleaning of bathroom surfaces. Great for cleaning fiberglass tub and shower enclosures and sliding shower door tracks. Both brush shafts will fit drills with the common 3/8 inch drill chuck or a larger 1/2 chuck. 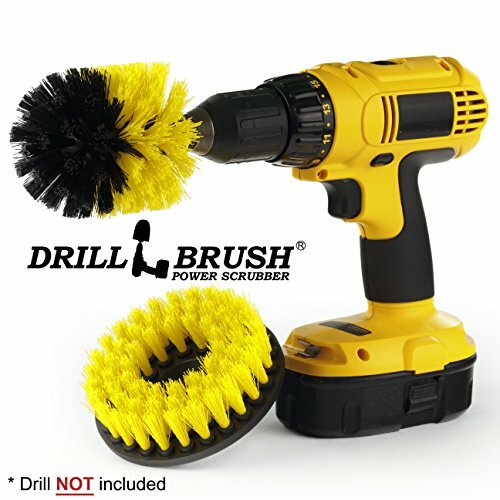 Drillbrush Products have a 90 day no questions Money back Guarantee if not completely satisfied. 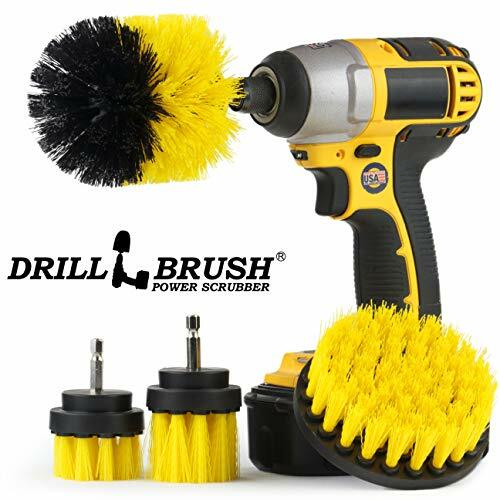 Use a cordless drill and this scrub brush kit to restore your kitchen surfaces to a gleaming shine. No more hand scrubbing and scouring with scratchy steel wool or "eraser" sponges that fall apart. The Green Original is great for cast iron, pots and pans, baked on food and grease. 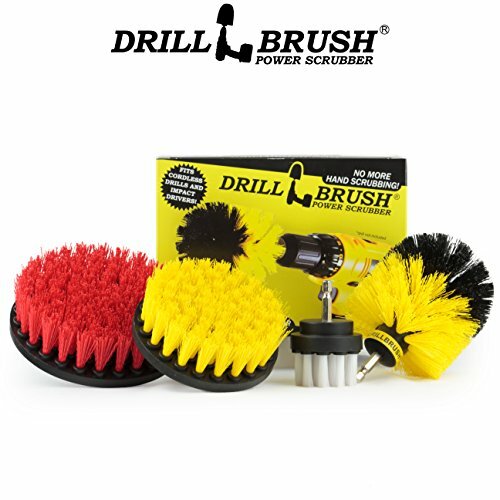 This kit features our most popular power brush: The Original Drillbrush Power Scrubber multi-purpose and corner scrub brush. The Original is perfect for rounded corners in bathtubs and sinks. Tight quarters? You can rely on both of the included pair of long, and short bristle versions of our versatile 2 inch diameter circular cleaning brush. These handy little brushes offer the increased mobility needed to access tight spaces such as grout lines and shower door tracks. Need to clean or scrub larger surface areas? Our popular four inch round flat brush is included, and is well suited to bathtubs, shower walls, flooring, and larger tile surfaces. All of the brushes in the kit feature a quarter inch quick change shaft. 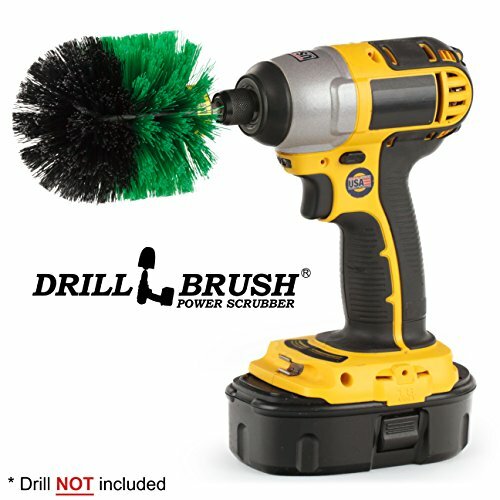 This allows the brushes to fit in all cordless drills and impact drivers, and to be changed quickly to match your cleaning needs. The ultimate in bathroom accessories for scrubbing and cleaning. These nylon bristle brushes will not scratch. They are the answer to restoring a sparkling luster to your bathroom surfaces. Power clean bathroom tile, use as a shower scrubber, grout brush, bathtub cleaner, base board cleaner tool, and many other bathroom cleaning applications.